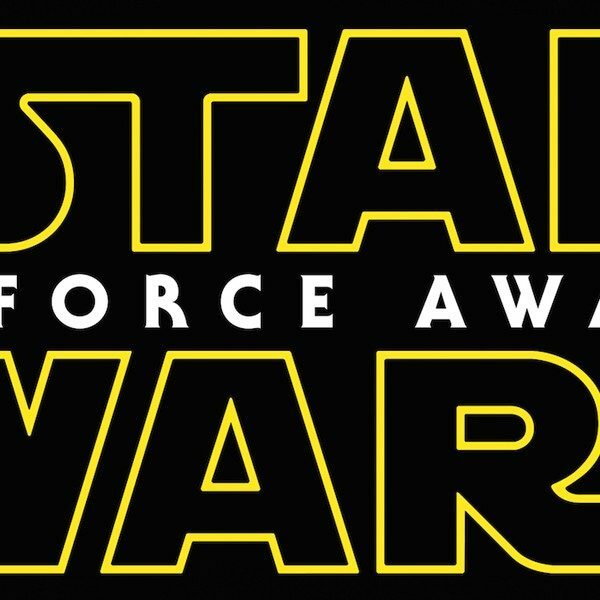 The following contains spoilers for Star Wars: The Force Awakens. You have been warned. Tyler: We made it. We finally live in post-The Force Awakens world. Now that we have both seen the film and had a couple days to process everything. I can’t remember a film since The Phantom Menace that had this much hype around it and we all know how that turned out. I’ll start things simple. Did Star Wars: The Force Awakens live up to said hype and is it worthy of being part of the Star Wars universe? Erik: Well, I should probably note that I was not nearly as hyped for this film as most of the other Star Wars fans (isn’t it weird we don’t have a name like Trekkies or Whovians?) I know, but mainly because of the prequels, I just didn’t want to get hurt again. The only thing I wanted out of this film was for it to be better than Episodes I, II and III. So, going by those standards, the film more than met my expectations. Yes I do believe it’s a worthy entry into the Star Wars canon (which, I should note also includes Jar Jar Binks, and an Ewoks television series). However, judging it as a standalone movie, I also believe Force Awakens was a very good fantasy adventure film with some well-written characters and standout set pieces. The film is far from perfect (and not quite as good as the original trilogy, in my opinion) but I’m already looking forward to watching it again. Tyler: I’m still riding the high of relief that the film did in fact deliver on my expectations but I was in the same boat as I also got nervous getting close to release. We can further discuss our feelings about the films’ place in the franchise in a bit but I agree with you that the film was very good and it definitely met the highest point of my expectations. I think the best thing to start with is the film as it relates to nostalgia, both in its references to past films and the way it reuses plot and set pieces from the original trilogy, particularly A New Hope. I, for one, was very impressed with the way director J.J. Abrams and crew were able to re-package those elements from the first film and make them seem surprisingly fresh. What were your thoughts on those similarities to the original film? Erik: Based on feedback I’ve read and heard, there seems to be a lot of mixed feelings about the homages to the originals. The film does utilize a lot of motifs and tropes any Star Wars fan would find familiar (someone on a desert planet finds a droid; the heroes enter a bar full of scum and villainy; a mentor figure is killed by the main villain; said main villain talks to an even main-er villain who appears as a giant hologram; etc.) and quite a few people found it lazy or uninspired. I can see that point of view, and I wouldn’t argue with anyone who feels that way. That said, it really didn’t bother me. I can look at it several different ways. For instance, Star Wars is not actually a science fiction series (as far as I’m concerned, at least) it’s a high-fantasy series that happens to be set in space. Like many fantasy series it deals with concepts of fate and destiny, therefore I can look at the recurring plot elements as evidence that the wheel of fate keeps on turning and certain things repeat themselves. Maybe I’m looking too much into it or giving the filmmakers more credit than they deserve, but that’s how I choose to look at it. Also – and I’ll try to make this explanation much more brief – the Star Wars series has always relied heavily on classic structures of story and myth (i.e. the Hero’s Journey, and whatnot), wherein you see lots of the same character types and plot devices repeated over many generations. So you can think of The Force Awakens as something that continues that tradition. Plus, I think the series has always been at it’s best when sticking to classic structures (the originals did, the prequels didn’t, point made). Erik: But those practical effects were still pretty awesome weren’t they? Tyler: They were great. Even more impressive though, were the CGI effects that looked real. Maybe it’s simply a matter of technology but the effects team managed to make their special effects look just as good as the real thing. The first thing that comes to mind is the giant pig-like monster drinking out of the troth on Jakku. There’s no question it’s a CGI-creation, though that the real locations helped considerably. Moving deeper into the film itself, What did you think about the characters, particularly the newcomers? Erik: I was already a fan of Oscar Isaac (Poe) from his previous work (Drive, Inside Llewyn Davis, and Ex Machina), Adam Driver (Kylo Ren) from Girls (and also Inside Llewyn Davis), John Boyega (Fin) from the criminally under-seen Attack the Block, so I wasn’t at all worried about how they would do. The one wild card for me was Daisy Ridley (Rey), as I hadn’t seen any of her prior work. Luckily, I was very pleasantly surprised to find she was one of my favorite things about the film- both in terms of how her character was written and how she played the part. She was kind of the most badass character on screen (and she shared it with Han Solo and Chewbacca, for crying out loud). Between this movie and the latest Mad Max, is this the year for strong female characters in action-genre films? Tyler: I definitely agree with you about Rey. I’ll get to her performance in a bit but the character (along with the others) stood out to me in the way she was very similar but also different. She’s clearly the Luke Skywalker of the series but she also has the street smarts of Han Solo. I could say the same about Kylo Ren who is going on a very different journey from Darth Vader, as is Poe and Finn who are unlike any main characters we’ve had in the franchise. Poe is essentially meant to look as if he never decided to become a Jedi. I gotta say though, that Finn was the most underwhelming character from my vantage point. Some of that has to do with how much fun I had with Poe and Rey but his story and arc didn’t entirely make sense for me. We know he’s a stormtrooper of The First Order who was kidnapped as a young child and conditioned to become a soldier. I didn’t necessarily buy that he would betray them in the first sequence other than for the reason that “bad guys are bad.” I felt as if his understanding of “good” and “evil” would be skewed because of his militaristic upbringing. I’m never going to criticize the series for being about “Good vs. Evil,” but the film asks us to make a pretty big jump, early into the movie. Am I nitpicking here or did you feel the same about his character? Erik: I like the character a lot, mainly because by the end of the movie you realize how “normal” he is, at least in comparison with all the other characters. He doesn’t seem to have one thing he does really well and most of the time he’s terrified that he’s going to die. Yet he still manages to be a hero in the end. However, I do have to agree with you about his motivations for leaving the Order. I don’t think they needed to put in some huge explanation for why he didn’t shoot at the civilians, but something small, some little tidbit to clue us in would have been nice. Like, if maybe he saw an intended target who reminded him of his parents, or if there was some flaw with his upbringing. Even the villains kind of mention that his rebellion makes no sense (they say something along the lines of, “he’s never shown any signs of not being cool with what we’re about”). That was kind of the whole movie for me, a whole lot of great stuff with small but noticeable flaws here and there. Tyler: I liked the character a lot, post-landing on Jakku, for all the reasons you said but with a large part of the movie depending on his decision to defect, I would have liked a little more explanation. The same could be said for him stabbing a stormtrooper Julius Caesar-style when he knows the guys general story was also something that didn’t make as much sense as I would have liked. Let’s get to the performances. Like you, I loved Ridley, Boyega and Isaac as they met and in many ways, exceeded the demands of their characters. The one newcomer I wasn’t quite sold on was Driver as Kylo Ren. Like you, I know Driver is a very good actor from his previous work but I couldn’t make up my mind about his performance here. Part of me wants to give him the benefit of the doubt and any moments I thought of as “wooden” – particularly any time the mask is off – is actually him illustrating the character’s indecisiveness about where to lay his allegiances in terms of the Force. What did you think about the newcomers performances? Erik: Isaac was so much fun during his (admittedly brief) time as Poe and pretty much stole every scene he was in. Driver’s character was very emotionally complex, and I thought he handled it perfectly – there’s so much to read on his face during his scenes with Ridley and Ford. It was a treat watching Finn develop as a character throughout the film and Boyega did an excellent job portraying his maturity (which he similarly had to do in Attack the Block). I also just wanted to mention that all of the performers had great comedic timing with one another, as the humor was one of my favorite parts of the film. 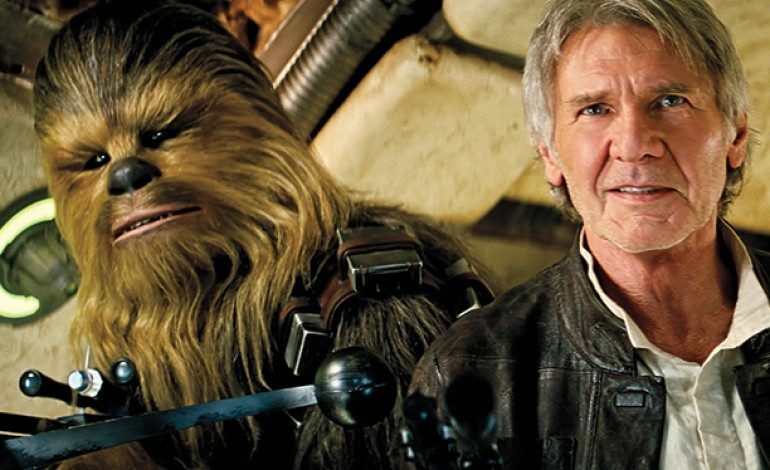 Force Awakens is probably the funniest of the Star Wars movies (intentionally, at least). The returning actors were also in fine form; especially Harrison Ford, who definitely had the biggest role among the original Star Wars cast members. Tyler: I find it fascinating that Solo went from being the coolest guy in the room in A New Hope and Empire to borderline icon of “Dad Humor” in Jedi, to finally being the funny, grizzled veteran here. Ford definitely stepped up to the task here and I was very happy with his performance. I think it’s important for us to touch on the big spoilers of The Force Awakens: the fact that Han Solo dies in the film, at the hands of Kylo Ren who turns out to be his and Leia’s son. What did you think about that choice for the franchise and how the scene was handled? Erik: I thought the scene was pretty well done. I mean it was pretty obvious to me and I think to most other people- the moment Han Solo stepped onto that catwalk, he was a goner. But, if they were going to kill off one of the old main characters, I’d prefer they did that in somewhat melodramatic, and more-than-a-little-obvious-way, rather than for it to just come out of nowhere. Plus, Ford wanted Han to die back in Empire Strikes Back, so I guess he finally got his wish; hell, maybe that’s how Abrams was able to talk him into reprising the role. Tyler: I certainly wouldn’t be surprised if Ford comes back in one of the spin-offs or even a flashback. I agree the scene was well done overall and both Ford and Driver delivered in the scene. I can’t help but feel that we’re going to see more of the original characters killed off in subsequent movies as it allows more time for the new characters as well as keep the stakes of death real in the series – something Marvel hasn’t been able to do. I want to change gears a bit and end on the film’s unanswered questions. There have been cliffhangers previously in the series but this is the first time the films have seen so many unanswered questions. The two major ones that stick out to me are the political events that led to the creation of The First Order and the Resistance as well as Rey’s ability to harness her connection to the Force so quickly. Do you have thoughts on either? Erik: To be honest I don’t really care how the First Order got here, just as I don’t care how Mordor was founded as a country. I’m fine with the big evil thing where all the villains congregate. Plus, as history has taught us, Star Wars and politics do not mix – I still have nightmares about boring senate hearings. Rey’s abilities do intrigue me, and odds are we’re going to see them explained in one of the future movies. Part of me kind of wishes we never do get an explanation and she’s just someone who happens to be born with a natural affinity for the force, much like how some people just seem to be supernaturally good at baseball or painting, or whatever. But I can’t deny I’m incredibly curious to see what the explanation is. I am praying that it doesn’t turn out she’s Luke’s long lost daughter or descended from Obi-Wan or some ancient Jedi. Mainly because I think it actually weakens the new characters if too many of them are too closely linked with the past characters (one is enough, really). I hope she stays the way she is, just a regular person who has greatness thrust upon her, rather than someone who is born to greatness. Tyler: I see the irony in my requests for explanation on the creation of The First Order and I actually know and have researched some of the expanded universe materials go into more detail about this. I guess I would have just appreciated a line in the opening scroll that said something along the lines of “Corrupt republic senators have aided the creation of THE FIRST ORDER that aims to bring back the ways of the GALACTIC EMPIRE. The Republic has created a small band of fighters called THE RESISTANCE to fight back.” and see nothing else about politics for the rest of the movie. Maybe I’m growing up but I would also like to know, not necessarily from the movies, where the First Order got the resources to fund the creation of their army and the Starkiller base. As far as Rey and the Force goes, I’m fine with her being a case of raw talent with the Force. I actually believe she might of been part of Lukes Jedi trainees and was sent to Jakku when Ben Solo’s turn to the dark side made Luke stop his teaching ways. Perhaps, she just doesn’t remember. Erik: Well as long as we’re doing theories, maybe they’ll actually offer up an explanation for Anakin Skywalker’s weird virgin birth (beyond him being Force Jesus), and maybe whatever process caused him to be born with super force powers also happened with Rey. That’s the extent of which I’ll accept her being directly linked to a past character, although I do like your explanation as well. Odds are we’re both wrong, just as so many were wrong about Luke being evil – a school of thought I happily didn’t subscribe to. Tyler: Agreed. I just hope she isn’t a blood relative of Luke. I’m a little tired of the family connection in the series. To offer a conclusion, because I think we could both go on for hours more, I’m glad we both really liked the movie and that the series is back on track. I have come to realize that none of these new Star Wars films will live up to Empire Strikes Back or A New Hope. I have heard stories – though never witnessed firsthand – that there are kids out there who grew up with the prequels that actually like them better than the originals. That makes me sad but if a kid told me that The Force Awakens was their favorite of the saga, I would be okay with that. That only speaks to the way this film has rejuvenated the series for me and I’m excited to see where it goes.